It’s time to check an Alaska cruise off the bucket list – thanks to these amazing promotions! If Alaska is on your list of “cruises to take,” make this the year you do it. 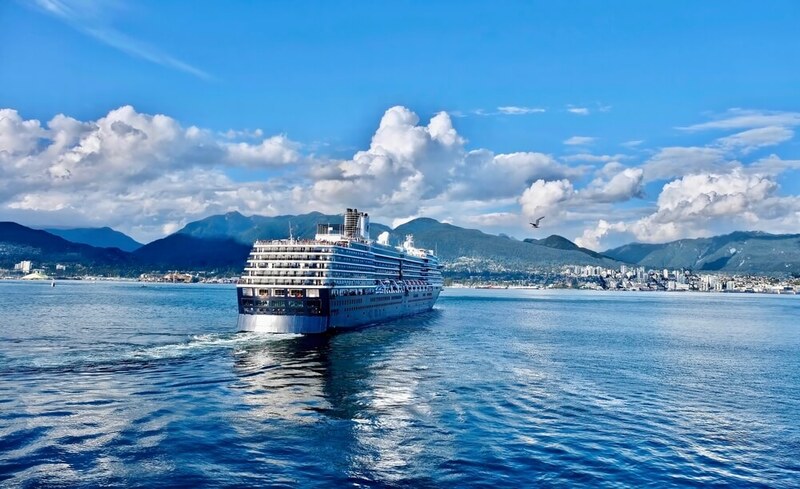 There are so many wonderful reasons to take an Alaska cruise from Seattle, and there are a lot of special promotions going on that make choosing Alaska cruises from Seattle a great deal in 2019. Click here to browse all cruises to Alaska. We would like to THANK Cesar for all of the hard work he put into making our trip to Hawaii a GREAT experience! He made sure our traveling ran smooth (and it did)! We can't wait to book another vacation with him! THANK YOU Cesar and ALOOOOHA!!! — Mia W.
Glaciers, fjords, mountains, dramatic landscapes, and exquisite scenery are all part of an Alaskan cruise. You may see humpback and killer whales, seals, puffins, and eagles while cruising. Other land wildlife you might see includes moose, caribou, grizzly bear, and Dall sheep. There is never a guarantee you’ll see specific wildlife, but keep your eyes open and cameras handy. Native American and Gold Rush history is plentiful, and in some areas you’ll see fascinating totem poles. Here at CruiseExperts.com, we want to help you find the best Alaska cruises as well as great promotions. Call us today at 1.888.804.CRUISE (2784) so we can book you on one of the following exciting Alaska cruises. Your cruise on the Celebrity Solstice will take you to some of the most beautiful areas in the world. Leaving from Seattle, you’ll enjoy stops at beautiful Ketchikan, Juneau (the capital), and historic Skagway, Alaska, as well as cruising the Endicott Arm Dawes Glacier and the Alaska Inside Passage. You’ll also visit Victoria, British Columbia, Canada before returning to Seattle on June 14th. Celebrity is offering a great promotional deal on this cruise. Third and fourth passengers in any stateroom receive a 50% fare discount. The available perks to choose from are the classic beverage package, unlimited Wi-Fi, prepaid tips, or $150 per person for onboard purchases. Suites receive a $400 savings and all 4 perks, Concierge Class or AquaClass® receive a $300 savings and 2 perks, Ocean View or Veranda receive a $200 and 2 perks, and the Inside Stateroom receives a $100 savings (upgrade gets 2 perks). These are fantastic savings to make your Alaska Cruise even better.